New Music Video Project Completed! Here it is, fresh out of the edit suite as of last night, 1/27/2016! This was one of those projects that has taken some time to complete for various reasons, but I’m excited to get it out there, as is the artist, Wayne William. Take a look, then I have more below describing the nuts and bolts, for those interested. Wayne lives in Malta, that tiny island nation in the Mediterranean just south of Sicily, and just north of Libya. He’s a full time professional musician who performs, writes and produces. He’s a very talented guy, and I’ve had the privelage to work with him making three music videos so far. For this project, we worked with Patrick Boland from Honeytone Music. He has a studio locally where I live, and where Wayne occasionally comes to visit family. We shot the bulk of the footage in this great location, Patrick was extremely helpful and accomodating. Exterior footage acquisition ranged from the streets of Green Bay and Madison, WI, as well as some shots from downtown Chicago, IL, and Tucson, AZ. 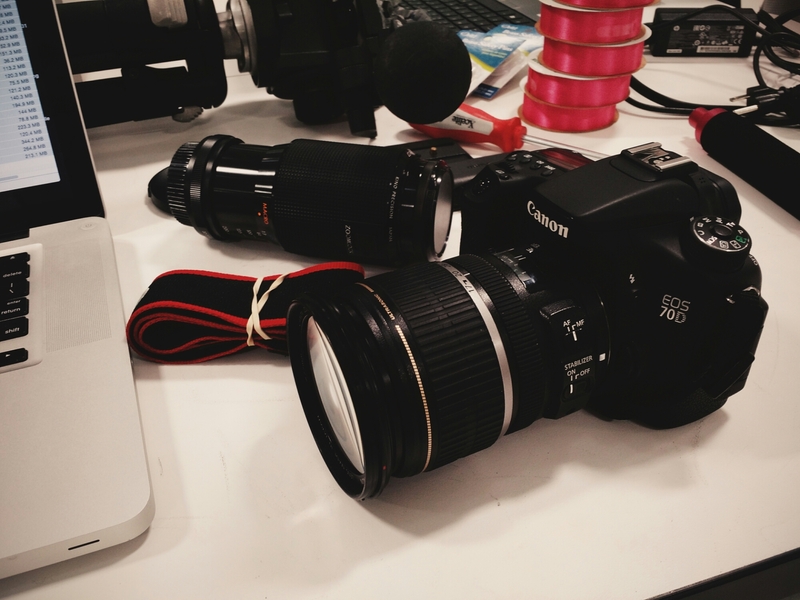 I shot the footage on a Canon 70D, using mostly two prime lenses, a Pentax 50mm, and a Nikon 24mm. Both gave some really nice depth of field, and the quality glass really pushed the image quality of the 70D. I use a somewhat homebrew light kit, so nothing special there. I used a GoPro Hero 3+ for some of the studio shots. A few of the shots involve motion controlled time lapse, and for this I used one of my favorite pieces of gear, the Genie system by Syrp from New Zealand. This thing is just so much fun to use for these types of things. Its a great combination of very well designed software and hardware, one of those tools I cannot recommend enough. Not every project calls for this type of work, but when time lapse is required, or desired, give this stuff a try, you won’t regret it. Post production took place mostly in Adobe Premiere Pro CC 2015, time lapse processing was done in Adobe After Effects. The cut in Premiere Pro CC. Color correction was able to be accomplished entirely withing Adobe Premiere Pro CC, thanks to the recent addition of the insanely robust Lumetri Color Panel in CC 2015. Very impressive set of controls now living natively in the editor, without having to go out to Speedgrade or other tools. Using adjustment layers for an additional amount of control was phenomenal, this has changed my post production workflow for the better. Color correction example using adjustment layers and Lumetri Color Panel. The bulk of my work in production and post, outside of my role as an instructor of video production, is in corporate media. If you know anything about this, it can be decidedly un-exciting making training videos and tradeshow content. For the record, I’m NOT complaining, I absolutely love what I do! But its projects like this that really get me excited, that feed my passion for discovery and creativity in this visual medium. This has been a fun one, and I am personally pleased with the results. Close personal friends for the next few days. 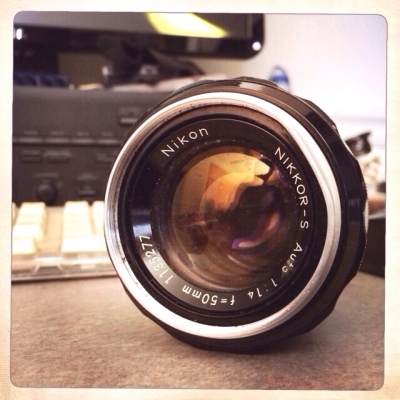 The old Nikon 50mm. Made some awesome images with it. Soon to make some more. Production starting soon on a new corporate project. Bring on the new challenges!